420 Servings of the best storable food of its kind. This Family Mega-Pack will give you peace of mind in uncertain times. 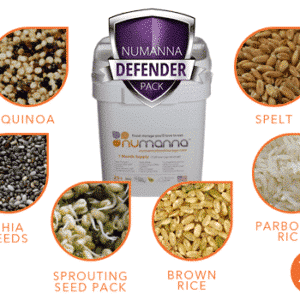 NuManna Foods will be there when you need them…tomorrow night or 30 years from now. As easy to fix and good as they taste, you just may not wait for an emergency. The Triple Family Pack is great as the back-bone of any food storage program. 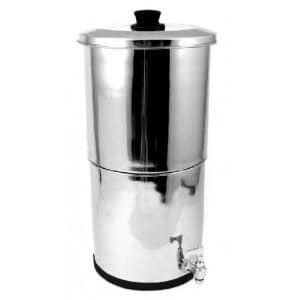 It mixes well with other stores you might have or stands alone with a shelf-life over 25+ years. Each Pack contains 144 servings (432 total) of high quality food that is good enough to eat now. 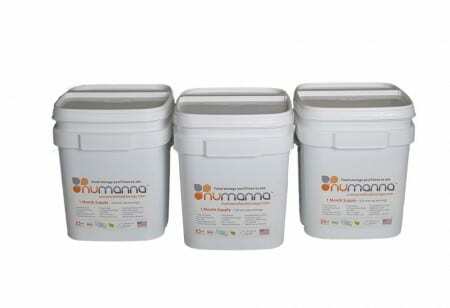 The NuManna Triple Family Pack provides at least432 servings of breakfast, lunch, and dinner. Like all of NuManna’s food stores, it has the lowest ratio of breakfast on the market. You pay for gourmet meals, not sugary drink mixes.